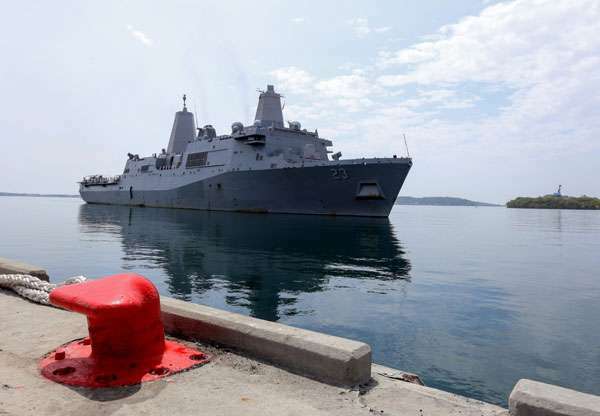 Colombo, January 24 (newsin.asia): In July 2017 the Sri Lankan government renewed, for another ten years, the Acquisition and Cross-Servicing Agreement (ACSA) with the United States Department of Defense. ACSA allows the exchange of supply and services, training of staff and humanitarian aid in disaster situations between the two countries. Although the Lankan government says ‘no military use’ of its ports would be allowed, Prof. Vitharana warned that if a military confrontation broke out in the South China Sea, for example, Sri Lanka could get unnecessarily caught up in a big power conflict.